Saint John Paul - "Lolek"
We believe that every student is a child of God at a unique stage of physical, intellectual, emotional and spiritual development. A Catholic Faith Formation curriculum is used at all grade levels and Catholic values will be emphasized in all instructional areas. Students will also have prayer experiences, sacraments, and service opportunities in a caring, Christian community. We work to provide our students an opportunity to know our loving God as well as become Christian leaders for the world. Middle school students are at a challenging developmental stage with newly emerging interests and challenges. Our program is designed to meet each student’s spiritual, cognitive, social-emotional and physical needs and development. Middle school students share a core curriculum with established academic benchmarks and Common Core Standards. 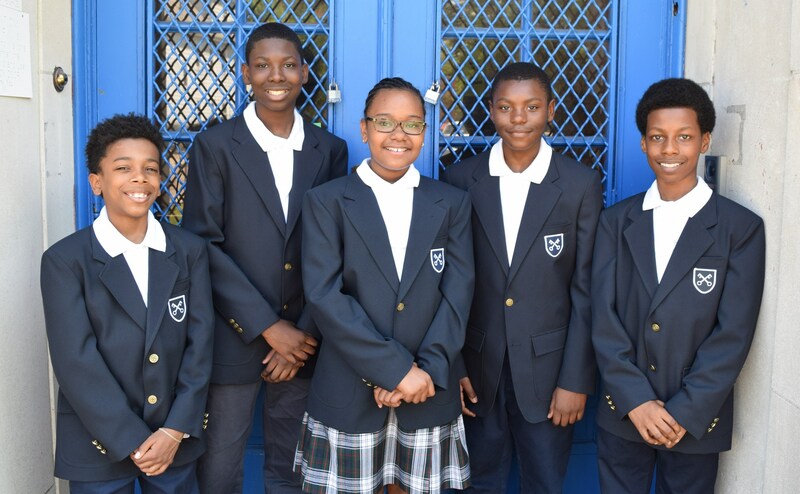 The middle school program of instruction is designed to insure opportunities for students to learn to high academic standards and to grow emotionally and socially into Christian young men and women. Teachers use a variety of instructional strategies and assessments to provide a valued based and rigorous educational experience. Teachers work in teams and work closely with Guidance and Principals to serve the unique needs of middle school development. Parents and teachers have opportunities to communicate daily or weekly, through email and online grading systems. The goal is to help middle school students to become independent and to begin to own and manage their learning and life. Parents and teachers must be in conversation to provide the structure and support to allow this risk taking and independence during this transition to adulthood.